Well, actually no I’m not from Berlin. But I am going there, again. This will be my third time there. Vacation is booked for April. Yes, prepare yourselves for future touristy photos! It will be my son’s 18th birthday, so we’re going on a mother/son trip. He’s never been to Germany, so I get to play tour guide. I’m so excited!! Flights, hotel and even the local transit cards are booked. 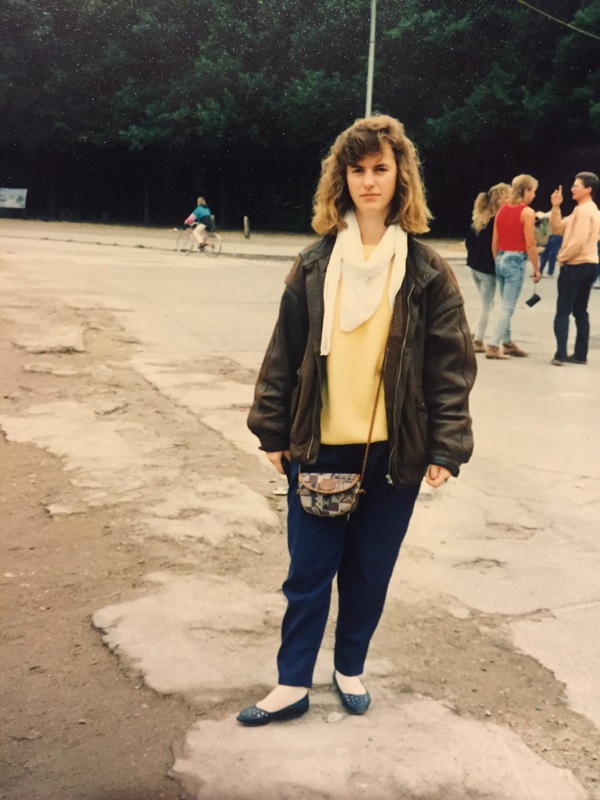 The last time I was in Berlin was in 1990. It was also the year the wall came down. I had been working in Flensburg that summer, visiting family on weekends. When the work contract was done my aunt and uncle asked me where I would like to go. There were only two places were on my list, Lübeck (home of Niederegger marzipan, which is AMAZING! ), and Berlin. I wanted to see the difference from when I was there three years before. We went for a walkabout, and I still remember my uncle saying, “stop, stop!” and how much it confused me. “Look down,” he said. 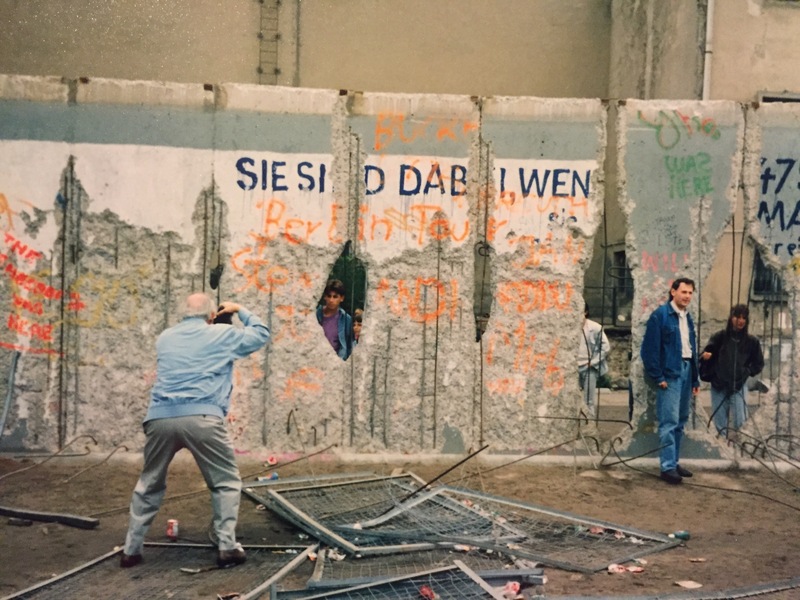 I happened to be standing exactly where the wall had once been. Goosebumps! After the wall came down there were, of course, the usual complaints about how the governments of both halves of the country managed the reintegration of citizens. Families were reunited after decades of separation. I didn’t find out until years later that our family roots (on my mother’s side) were from an area that became East Germany. Berlin is a city that is absolutely rich in history. Founded in 1237, it became the capital of Prussia in 1701, the German Empire in 1871, then the Weimar Republic and the Third Reich. The city was divided by the Allies (USA, UK and France) and the Soviet Union under the London Protocol of 1944. 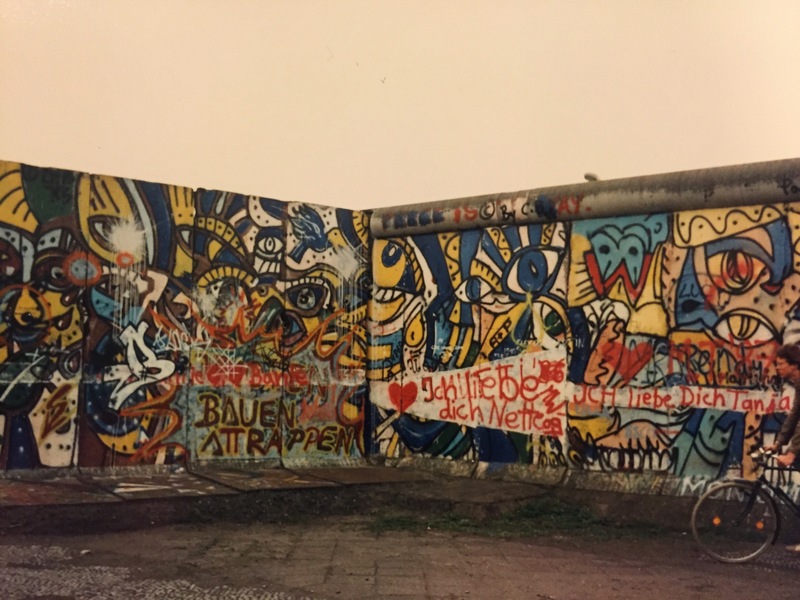 East Berlin belonged entirely to the Soviets. It was too difficult to maintain West Berlin as the capital under a rotating Allied government and surrounded by Soviet territory, so West Germany’s capital was moved to Bonn in 1949. 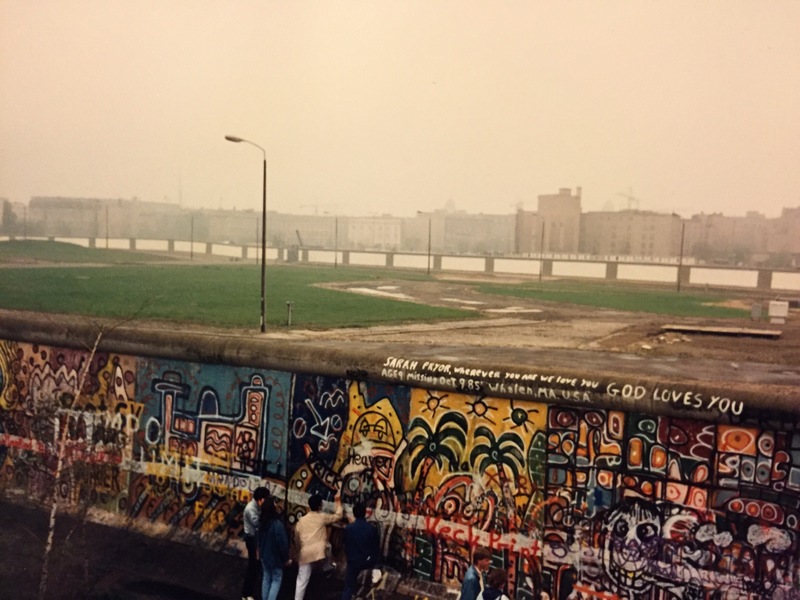 The nation’s capital unified again in Berlin in 1990. I want to give that sense of deep culture to my son. He’s been to Montreal and parts of the U.K. Now it’s time for Germany. Maybe he’ll become a Berliner too. 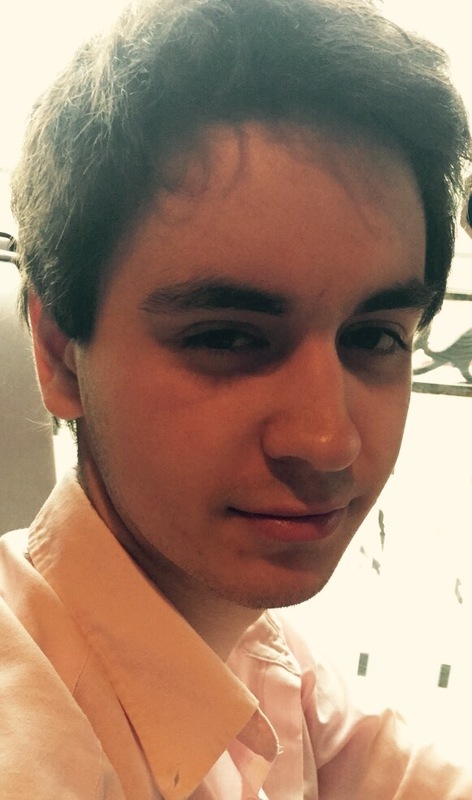 My son looks like Norman Bates, should I be worried? I just binge watched Bates Motel. All seasons. It creeped me out. 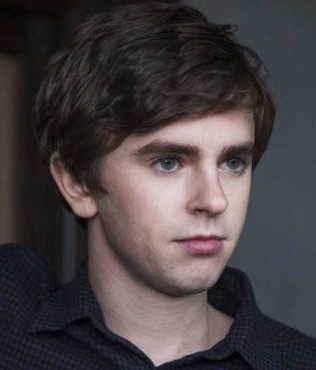 Yes, because of the storyline, but more so, because every time I looked at Freddie Highmore on my screen, I see my son. Okay, so we’re clear, my son and I do not have some weird Norman/Norma Bates relationship. He sleeps in his own room, thank you very much. It’s more so in the sullen facial expressions, and the way Norman moves. It doesn’t hurt that they’re both tall and slim, and have similar fashion tastes (bow ties and all). They even have similar hair. My friends don’t see it, but my son himself does. He then gives me that Norman Bates blackout stare. Thanksgiving, and cutting the neck skin off the turkey, did point out one huge difference. My son was revolted, so taxidermy won’t be in his future. I truly wish that this holiday was as relaxing and perfect in reality as it is in my head when I am planning it. I wish that my turkey, potatos, stuffing and gravy turned out as well as it looks in the header picture. 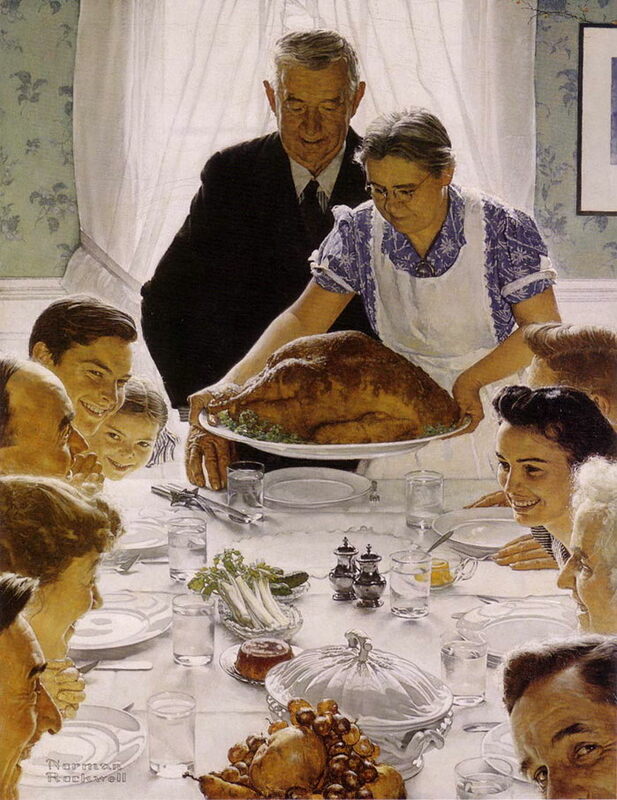 I wish that we had that Norman Rockwell Thanksgiving, where everyone sitting around the table shares in one sentence what they are most thankful for this year. Then there’s the reality. More like a National Lampoon’s Thanksgiving, with lots of “that’s what she said” jokes, discussions of bodily functions, and playing with food. Anyone ever notice that a dinner roll looks like a little bum? Maybe that’s what happens when there aren’t enough adult referees. Oddly, I didn’t feel like I was slaving away with very little reward this year. Maybe because it wasn’t really about the food, it was just appreciating time with the hooligans. Families don’t sit down at the table together any more. Everyone is in too much of a hurry, eating on the run, working, or eating in front of the TV or laptop. The turkey really did turn out like the picture, the gravy was perfect. We used my mother’s good dishes, and I didn’t stress about not having matching bowls for everything. I only burnt my arm once. So we didn’t go around the table and share what we’re most thankful for this year. We have our health, home, food on the table, and each other. 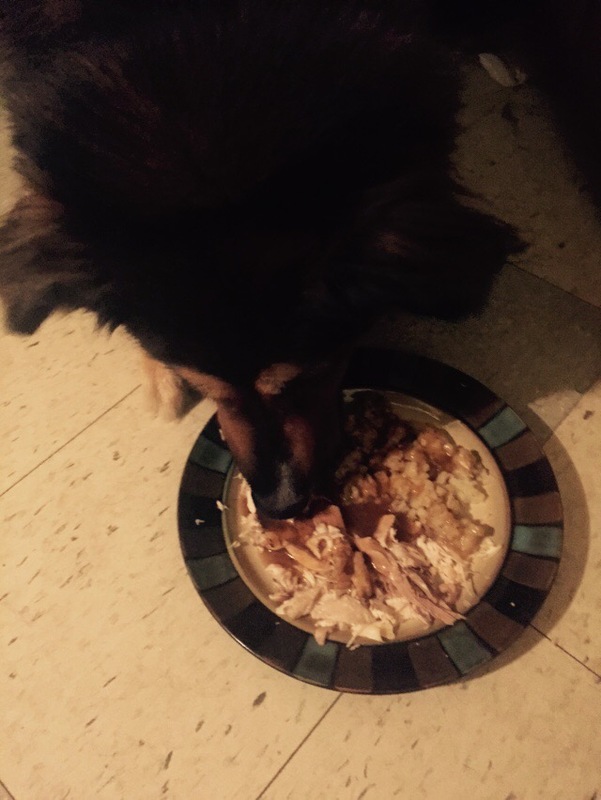 Even Tucker enjoyed a plate. We’re thankful for him too. Maybe there should be Thanksgiving Awards. The winner shall be embarrassed by having their behaviour posted online for all to see. This year’s winner at our dinner table was my daughter, with the twerking dinner roll. Can’t be any worse at your house, right? My daughter is just like me. Kind of a loaded statement, but for the purposes of this blog post it is quite innocent. She’s crafty. Also a loaded statement, but true. She knits, and crochets. A couple months ago she started “Knit Happens”, custom wool wares. She’s made baby blankets, hat and bootie sets, socks, sweaters, hats and scarves, mittens. Actually, there was a homeless guy behind her apartment building in Peterborough (that town with all the old record shops). To keep him warm in the winter she made hat, scarf, mitts and socks for him. Homemade goods show people they care. Anyway, I digress. 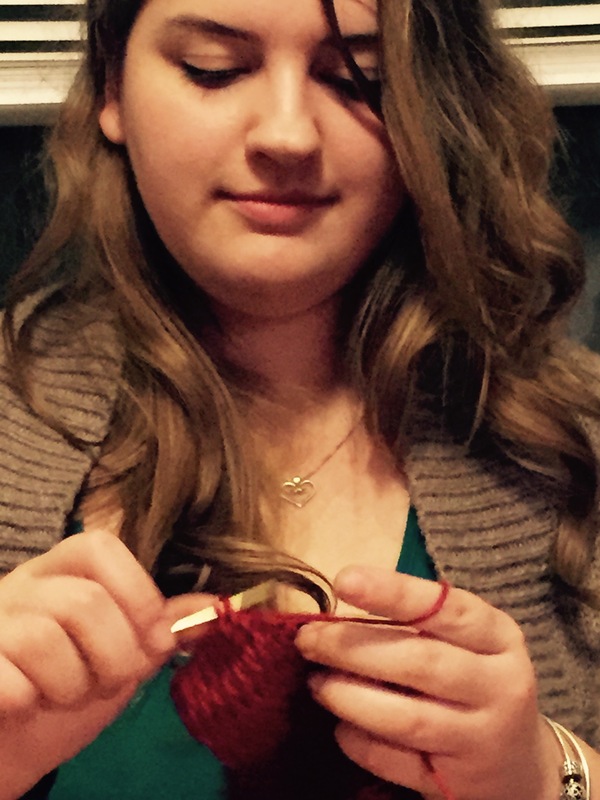 On November 28th, she’ll be taking Knit Happens to the Port Perry High School Christmas Craft Show. She is sharing a table with her boyfriend’s aunt (who will be selling some wood items). The high school does this every year as a fundraiser for their music department, to buy new instruments, upgrade old ones or for special workshop for the students. It’s art helping art. Ever wonder what it looks like when someone is getting ready for a craft show? Look no further. This is just a very small portion of the supplies. 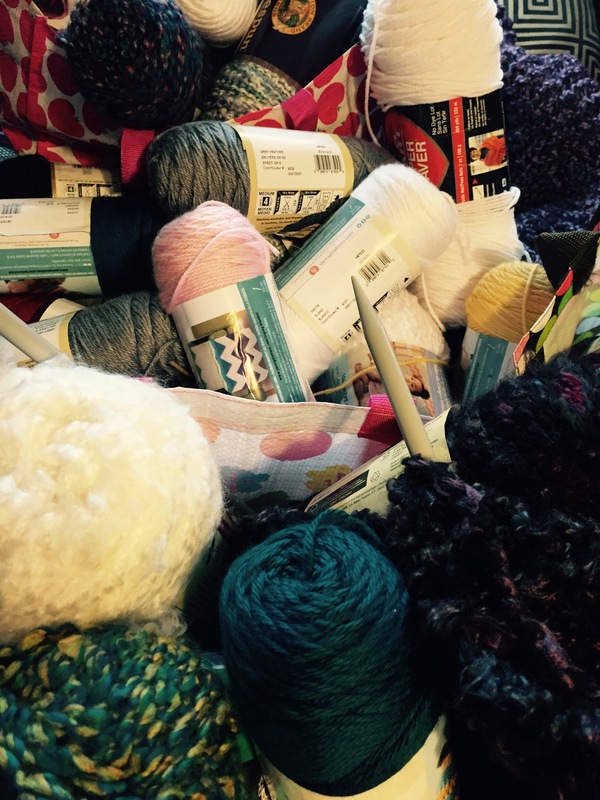 All of this will be turned into cowls, slippers, washcloths and mug sweaters (mugs like to stay warm too). Pictures of the finished projects will appear once I’ve gone to the craft show, or as my daughter starts posting them on her page, but you can email requests any time! Just write to knit.happens@outlook.com. If you’d like more information, you can visit Knit Happens or the Port Perry High page on Facebook. If you’re in the area, or know someone who is, be sure to stop by! There, I said it, and it will likely never happen again. I always thought that I inherited my strength from my mother and grandmother. Turns out, it wasn’t just them. I’ve been a single Mom of two “kids” (kids, as they are 20 and 17 now) since my son was 8 months old. My mother raised two on her own. My grandmother raised three on her own after WWII. You see the pattern and why I have had the belief I did. They were role models. If they can do it, so can I. Certainly, my situation was never in my wildest nightmares as bad as my grandmother raising three little ones post-war. It’s just unfathomable. My Oma Annemarie (Mom’s mother). 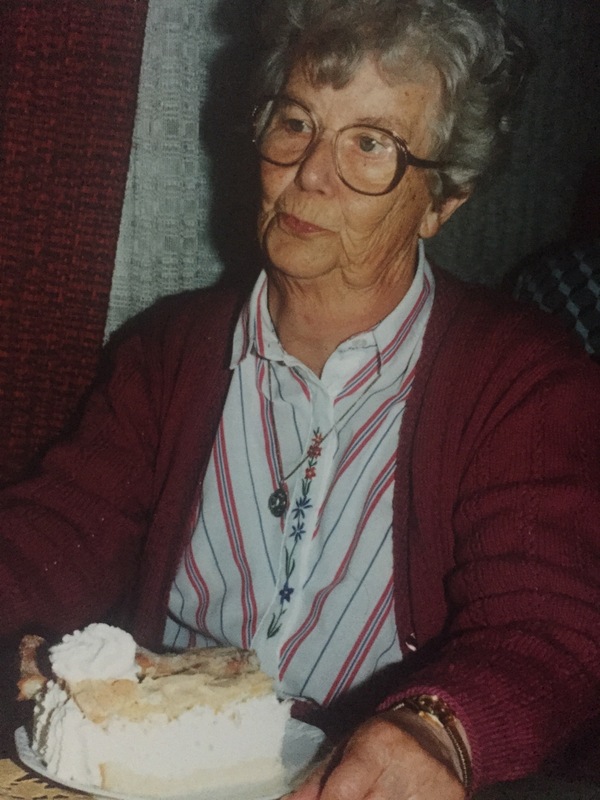 My fondest memories of her always seem to involve cake, knitting, or a bit of adventure. Maybe that’s just what grandmothers are supposed to do; stuff your face with sweets, make things for you, or go fun places with you. She made that feel special. Of course, there was the time she told me no way would I be able to finish even a single piece of cake at this bakery in Schneverdingen (Germany), and promptly ordered two pieces for herself. Yes, she finished them, and they were huge. My grandfather passed away a few days after his 37th birthday, in 1948. He had pretty much just made it back home (he was a PoW in the U.S.) when he got sick. A year later he was gone, and my grandmother was left with three children on her own. 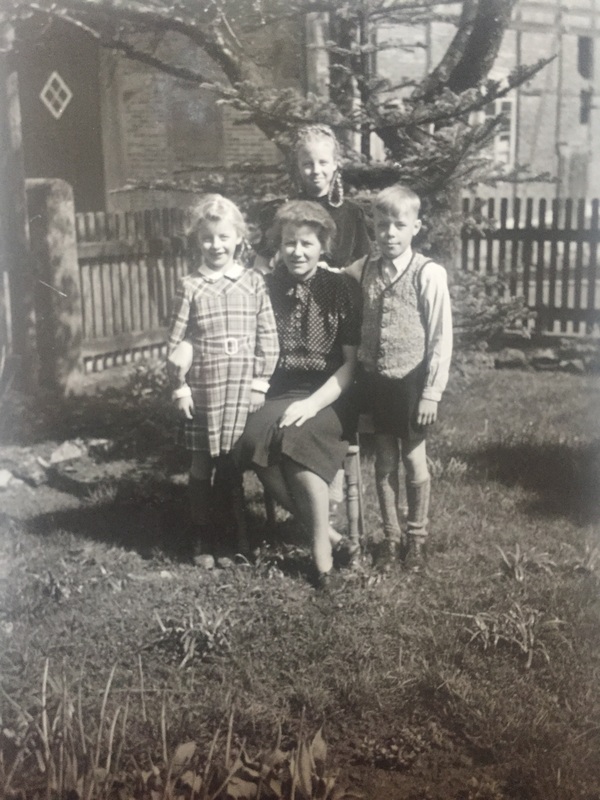 My aunt was 9, my uncle 7, and my mother just 6 years old. 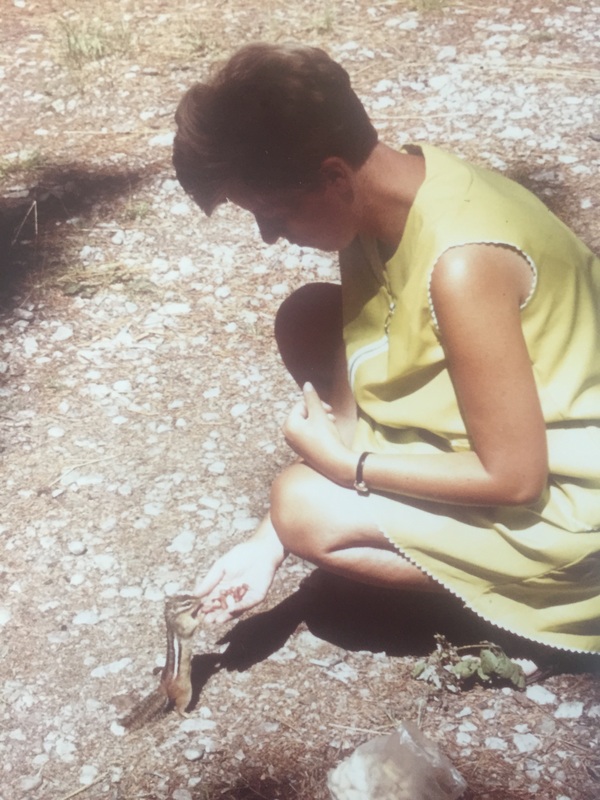 My Mom’s parents had an unbelievable love for each other. Oma never remarried. My Mom. She was the most kind-hearted, loving and cheeky person I know. Honestly, I’m not quite sure how she ever survived our teenage years. Okay, my teenage years. I wasn’t horrible to her, just played a lot of pranks. Whenever I think I shouldn’t bother trying something new, I think of her learning to downhill ski in her 50’s. Mom was daring. She was everyone’s rock. Mine, my brother’s, my friends’, and later my stepdad’s. Our house always seemed to have an open door and all were welcome. I like it when my brother tells me I’m just like her, though I sometimes wonder how I’ll live up to her memory. My aunt Anne (Mom’s sister). She is one of the most thoughtful and caring people I know. She isn’t daring like my mother, but you’ll never meet a more genuinely nice person. 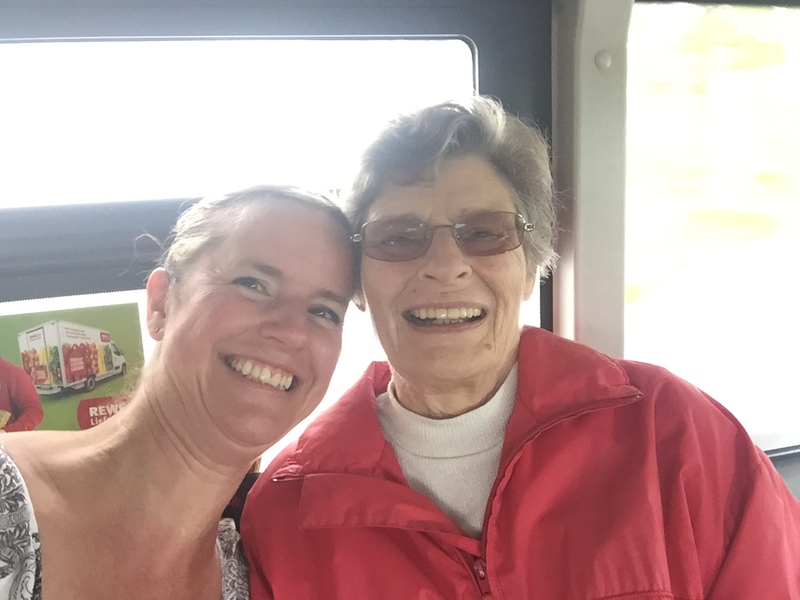 Everyone has their own burdens to bear, and for my aunt, it’s her health. Put one foot out of bed after the other in the morning, continue to breathe, muster through and don’t let any of it get you down. And above all else, don’t let anything change the way you treat other people, with dignity and respect. 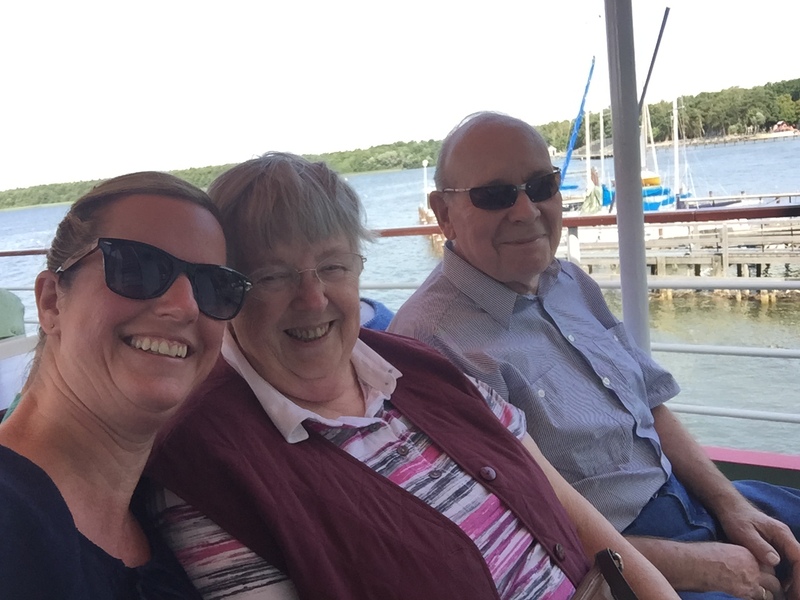 Last month I went to visit family in Germany, that I haven’t seen in 25 years. The trip was too short, but oh I learned so much! I heard some stories about the other side of my family, some things I knew, and others that were eye-opening. My aunt Anke (Dad’s twin sister). I don’t think anyone else I know has been plagued with her maladies. Another aunt who continued to march on, despite the mental torment she was experiencing. She always had a ready smile, incredible imagination, shared my love of reading, and let’s be honest here, creating all sorts of mischief. I think she may be the reason I have always had a black cat. My aunt Doerte (Dad’s sister). My aunt is a feisty, sarcastic being, just like myself. 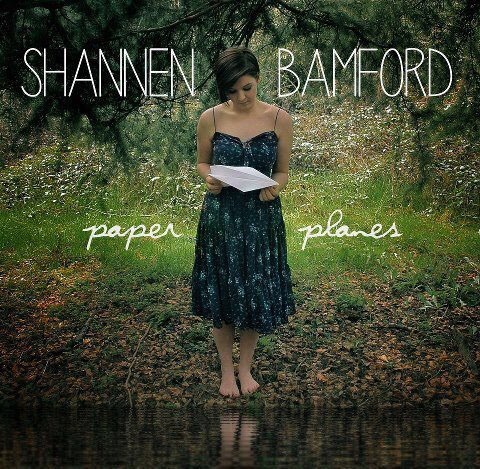 She’s awesome. I wish more than anything that we could get the last 25 years back. Alone with her husband, she carried the burden of caring for her sister. I love my brother dearly, but I know I’m selfish and couldn’t possible do what she did. I know my limits. My Oma Rosalie (Dad’s mother). This is where things get interesting, the things you learn when you spend time actually listening. It’s always hush-hush, but in every family there are those nasty little secrets that eventually do come out. My grandfather is “rumoured” to have had an affair for years with a woman he knew through an association he was a member of. He traveled a lot, and left my grandmother alone with very little money and four children. 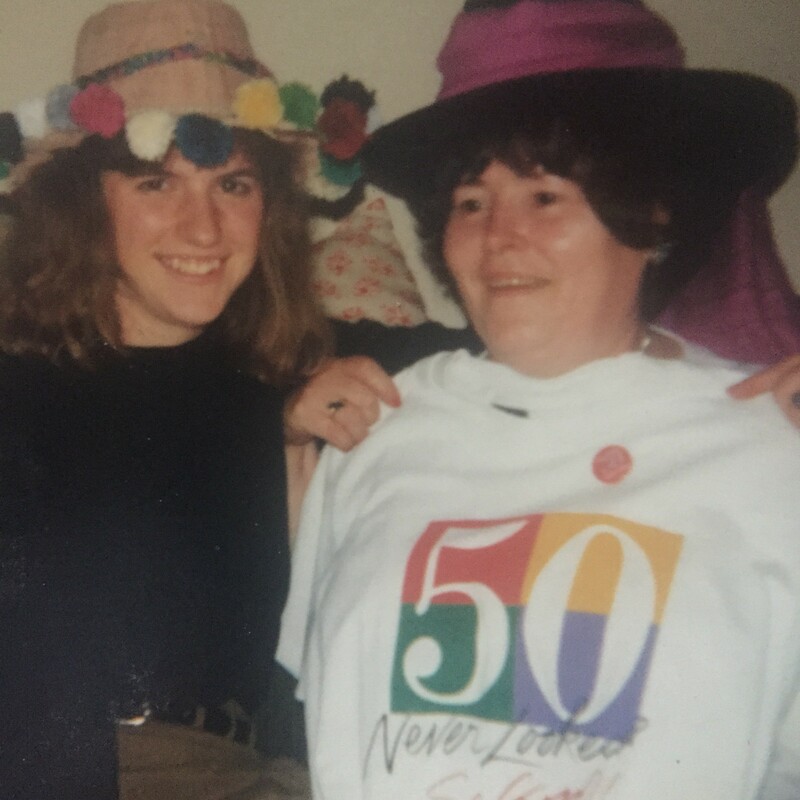 I wish I had known this grandmother as well as I knew the other one. The few times I spent with her (which wasn’t often given that we were on opposite sides of the ocean) she was always very quiet. Maybe because my brother and I were slightly exuberant children. As an adult, I now find respect for the Oma I didn’t really know. There was enormous strength in her quiet and infinite tolerance. My great grandmother Anna (Dad’s grandmother). I have another picture of my great grandmother, though it isn’t as flattering. It was the one photo I had until last month’s visit. Because of that, I always thought she was an angry old lady. 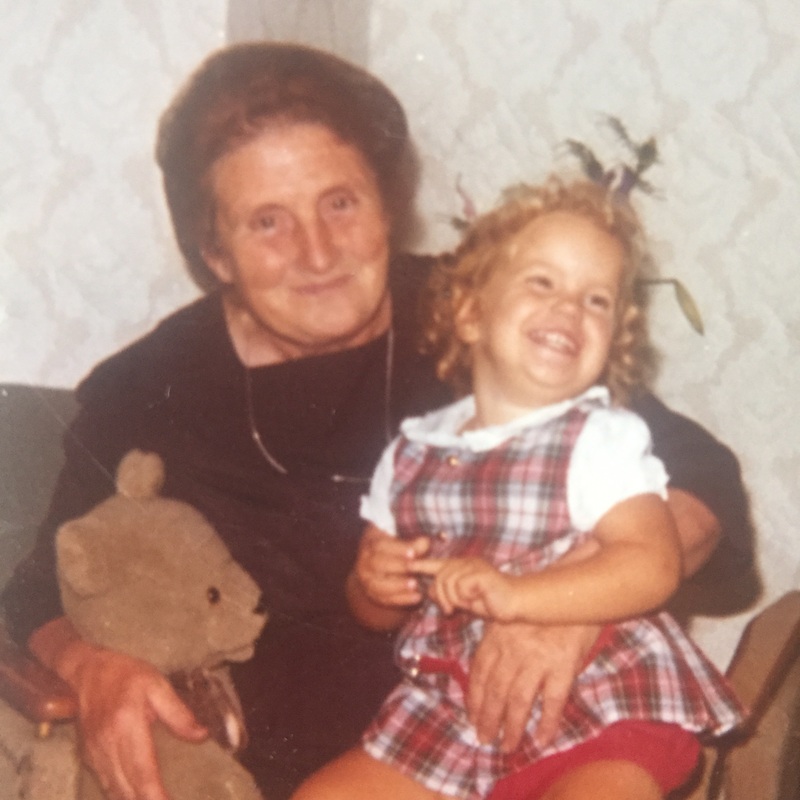 The photos I have seen since, she has the most striking smile, always surrounded by family, her children or her grandchildren (pictured above, my uncle, his wife, and Doerte and Anke). During this visit my aunt gave me some old family documents, including my great grandfather’s death certificate, dated 1914. They had six living children, of which my grandfather was the baby. I told my aunt that I always had the misconception that I only got my inner strength from my mother, and her mother. 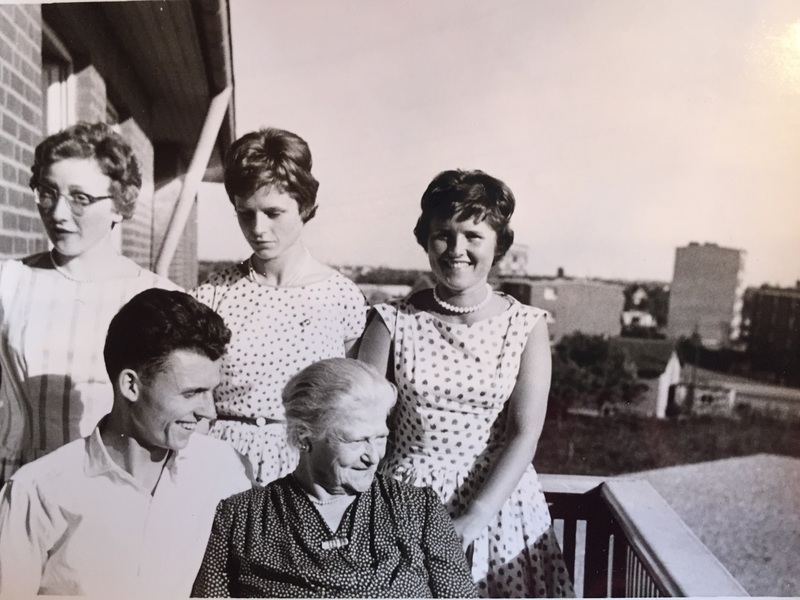 Looking at the women in my family and discovered I have strong female roots on both sides. My heart swells with pride that THIS is where I come from. They are my family. Wonder if stubborn determination, mischief making, and sarcasm are genetic? It would certainly explain a lot….